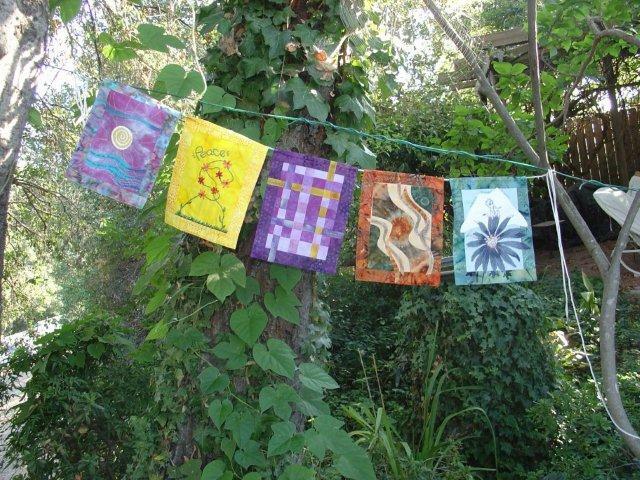 In May 2010 Cindy Rinne, artist and poet, added the 6th flag to the peace prayer flag series. 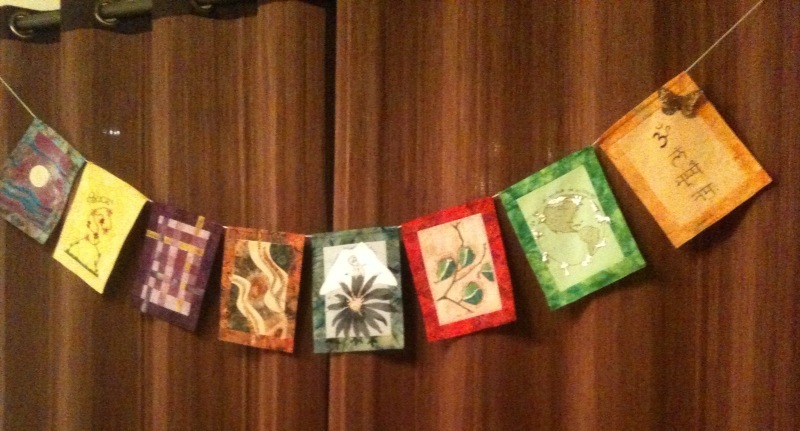 I am continuing to share the Peace prayer flags with you, in no particular order. In September 2009 this lovely flag was made by Sara Cloud from Ojai, CA. 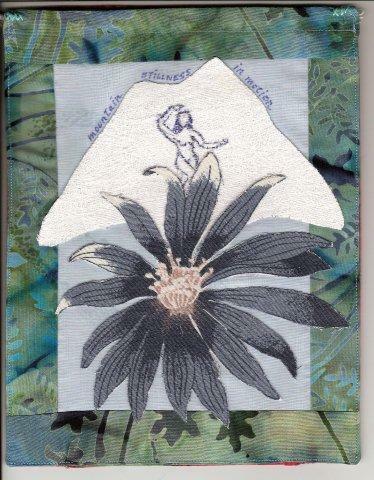 Her inscription reads: Mountain stillness in motion. Sara also participated in the first set of the project in 2005. 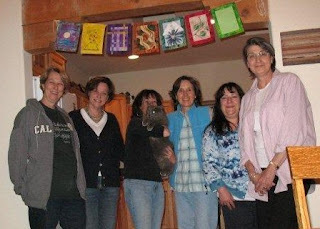 Continuing to share the peace flag series.... During a Santa Fe gathering in 2010, this flag became a group project among close friends- Lori Brody, Elizabeth Dailey, Debby Everett, Victoria Karno, Kate Matousek, and I. What fun we had collaborating on the design and execution, as well as choosing our milagros. 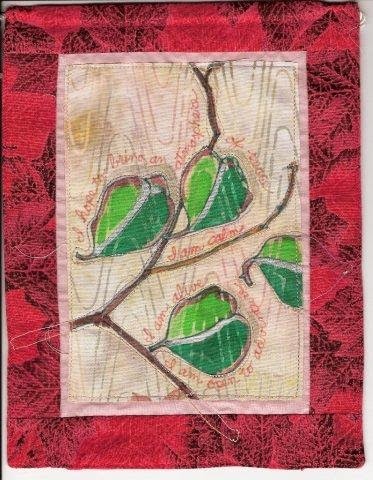 A deeply satisfying process of connection with each other and art making. 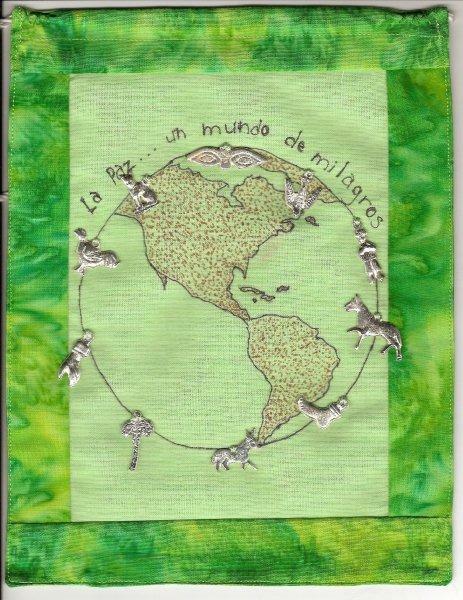 The title in Spanish is "Peace... a world of miracles". So much violence and suffering in the news of late. Some peace is much needed right now, and so in random order we will revisit flags and their makers from the Reflections on Peace set of the Bhavana Project. 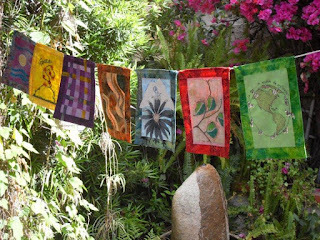 In April 2011, Ann Gray Fallat and Monica Molho created this sublime flag inspired by their yoga and Sanskrit studies. 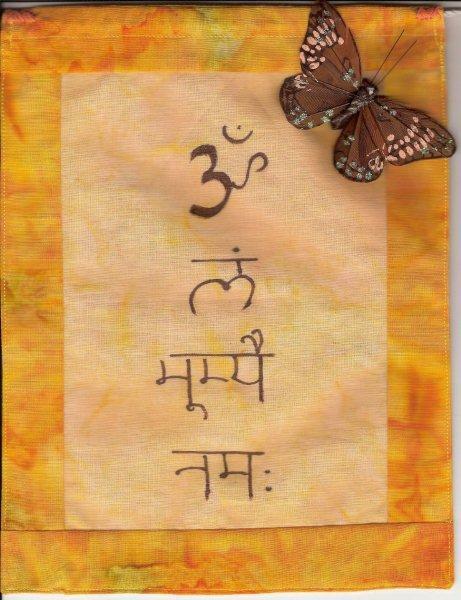 The words written: "Om lam bhumyai namah". Lam is a Sanskrit seed syllable denoting the earth. This line speaks of bowing down to the earth, honoring all that are rooted on and in it. A timely reminder. 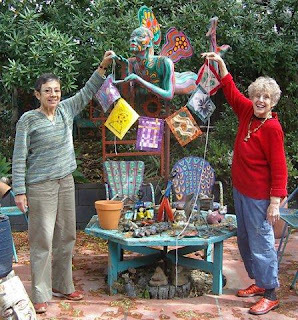 Thank you to Ann Gray and Monica for your contributions. A bit of history if you are just joining us. 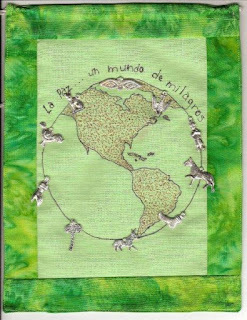 This is the third set created for the Bhavana Project, which is an ongoing community art work intending to share wishes and aspirations with the wider world. New participants are always welcome!